Pharmacogenomics (PGx) is the study of genetic variability affecting an individual’s response to a drug. Clinical application of pharmacogenomics knowledge will result in less ‘trial and error’ prescribing and more efficacious, safer and cost-effective drug therapy. However, despite the major advances in PGx and several commercially available PGx tests, its application in routine patient care remains very limited. 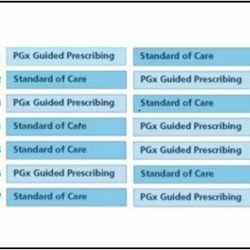 Immediate knowledge of relevant PGx variation, with interpretation and recommendations, without any disruption of routine clinical care is a clear advantage of the U-PGx approach. 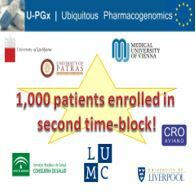 The U-PGx consortium will address major challenges and obstacles for implementation of PGx testing in patient care, taking into account the diversity of healthcare systems and citizens across Europe. Specifically, U-PGx will investigate if the emerging approach of pre-emptive genotyping of an entire panel of important PGx markers is cost-effective and results in a better outcome for patients. With the pre-emptive PGx testing approach data on multiple important pharmacogenes are collected prospectively and embedded into the patients’ electronic record. Typically, it alerts prescribers and pharmacists through electronic clinical decision support systems when a drug is ordered or dispensed for a patient with an at-risk genotype. 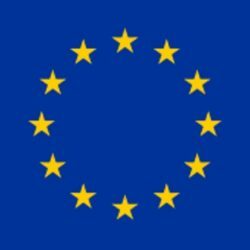 The new model of personalised medicine through pre-emptive PGx-testing will be conducted at a large scale in seven existing European health care environments (The Netherlands, Spain, UK, Italy, Austria, Greece, Slovenia). 50% of elderly patients will receive drug treatment that could be optimized via PGx within the next four years. 98% of physicians think that PGx could help to better predict drug response. Only 10% of physicians feel they currently have adequate knowledge and tools for PGx. As per October 1st 2018, the PREPARE study sites have crossed-over to the opposite arm! Since then, more than 1,000 patients have been enrolled in the PREPARE study. When adding this number up to the number of patients enrolled before cross-over we come to a total of 4,772 patients. 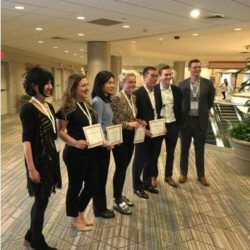 During the Annual Meeting of the American Society for Clinical Pharmacology and Therapeutics (ASCPT) in Washington D.C. on March 13th 2019, the Pharmacogenomics Research Network (PGRN) presented a Trainee Abstract Award to U-PGx’s Cathelijne van der Wouden. 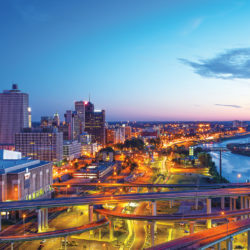 The Clinical Pharmacogenetics Implementation Consortium (CPIC®) Meeting will be held in Memphis, TN at St. Jude Children’s Research Hospital on June 6th (full day) and June 7th (1/2 day). CPE and CME will be offered. Information, including registration and hotel information, is available here. 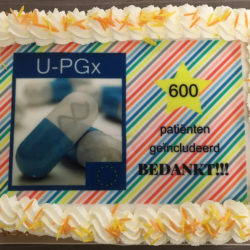 The 6th U-PGx Personalized Medicine Day will be held in Stuttgart, Germany on the 25th of February 2019. 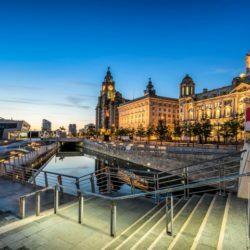 The 5th U-PGx Personalized Medicine Day was successfully co-organized by the Golden Helix Foundation and the University of Liverpool, both partners of the Ubiquitous Pharmacogenomics (U-PGx) project, funded by the European Commission (H2020-668353). 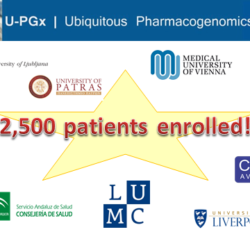 Six European heathcare organisations, including the European Association of Clinical Pharmacology & Therapeutics (EACPT) and the European Association of Hospital Pharmacists (EAHP), now have endorsed the pharmacogenomic guidelines used in U-PGx. 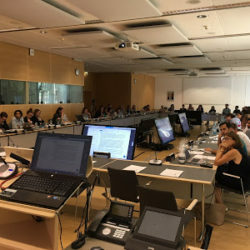 PharmGKB recently held a demonstration of the PharmGKB website as part of the U-PGx Summer School in Bonn, Germany. The PREPARE study team is proud to announce that the first 2,500 patients have been enrolled for the PREPARE study!